Sune Nordgren is considered to be one of the most influential Swedish art curators, his name regularly appearing in leading art media around the world. News appeared last fall that the “9 Towers” object of the famous, albeit already departed, American artist Sol LeWitt will be erected at the Kivik architecture park situated in a fairly distant place in the South of Sweden. The artist himself gave his blessing to this project before passing away. It will become the only outdoor work of art by Sol LeWitt in the Nordic countries, and the world will have the chance to get to see this work already this summer. In a concentrated form, Sune Nordgren describes his own relationship with Kivik as a love affair. It seems that this sort of characteristic is quite exhaustive. It is there, near Kivik, that he is getting ready to spend his later days – when the time comes that he will no longer be able to travel the world at the same swift pace as today. We meet in London where he has arrived to discuss his latest project with Antony Gormley. We have a long conversation during which almost all of his most important projects are mentioned: the Malmö Konsthall, of which he was the director for six years; IASPIS (International Artists Studio Programme in Sweden), which he founded himself; the BALTIC Centre for Contemporary Art in Gateshead, which he created from scratch and developed into one of the most influential art institutions in the UK; and The National Museum of Art, Architecture and Design in Oslo, which is where he found himself in a classical museum for the first time. Nordgren says that he is now a freelancer again and happy about it. Happy about the possibility to dedicate himself to Kivik, happy to work together with Petter Stordalen – the Norwegian hotel magnate and art collector, and happy about yet another chance to work together with Antony Gormley. You have been an artist, after that an art journalist and an art publisher, and finally, you became "one of the most important and internationally recognised" Swedish art curators. How did things develop this way? In the beginning, I was a graphic artist. Then I went into illustrations and also graphic design. I started working with publishing companies, as the fields of printing and graphic design are pretty close to one another. It was a very soft shift. Then I realised that I was not a very good artist and that I could do something else, so I became an art journalist. I worked not only for different newspapers, but also for Swedish television and radio untill 1990, which is when I became the director of Malmö Konsthall. How did you get the position of director of Malmö Konsthall? I had never intended to work for institutions because I don't see myself as a museum person. But I made an exhibition at Malmö Konsthall in 1985 – with Richard Long, who is a friend of mine – and we did a fantastic installation there. They were looking for a new director some time later, and they invited me to apply. So, I applied for the position and I got it. It was nice because Malmö Konsthall is not a museum in the traditional sense. It is actually something completely different. I became more like an editor. I had the possibility to edit the exhibitions just like a book editor does. I think I still felt myself as being an editor, and I liked this feeling. My only real job as a museum person was at the Museum of Art, Architecture and Design in Oslo, where I was the director for three and a half years. But I have never felt as if I was an administrator of a museum, even if I was the director. I have very often had very specific tasks to do. My life is characterised by cycles – I do a project for a few years and then I leave for the next project. If you look at it in retrospect, I have always been involved in projects only. I have never been in one place for more than six years. I just moved on constantly. Including Oslo, which was among the last big projects. I am working as a freelancer again, but not as an artist. I don't see myself as an artist, although having been an artist has helped me a lot – to understand artists and the way they think – while working as a curator. What is the main task of a curator today? Is it as mentor, ideologist, or producer? The curator is a person who facilitating as much as possible the process that results in an exhibition. But it is also you who deal with all the compromises. An artist has to, and tries to, keep his or her vision as unaltered as possible. There is a solid core of the project that you can never compromise. Because if you come to compromises so fundamental that it actually changes the vision of the artist, you just sink the project instead of pulling it off. However, I always compromise. It's up to you as a curator to deal with compromises. The reasons for compromises can be technical, financial or political. Just any kind of compromises. Again, it's up to you as a curator to deal with those compromises in trying to keep the focus on the art exhibition. When an exhibition opens or when the project is finished, you should be able to say: "Ok, we got nearly there". Because an exhibition will never be perfect. But we got almost what we intended to get, and we are happy. And if the artist is happy, too, you have done a good job as a curator. The profession of a curator includes all of the things you mentioned. The curator is everything – a one-man-band. Some curators even try to become artists. But these projects are rarely successful because you start making compromises already from the very first moment. If you try to be an artist together with another artist, this is already a kind of compromise. There is no one, single vision any more, and two different visions for one goal is never good for achieving that goal. You have spent most of your professional life in small towns where you have brought to fruition a number of impressive projects. This may seem quite surprising in the context of contemporary art, which is, by its essence, a typical resident of a metropolis. How is it to be a curator of contemporary art outside of a metropolis? It's difficult at the beginning. I have worked a lot in small towns. It is a kind of challenge. I have worked in the countryside of Sweden, in the countryside of Denmark, and in the countryside of England; but also in the capitals of Sweden and Norway, which are also somewhat in the periphery. I have really enjoyed it, because if you are in a big city like London or Paris or such, you already have a prepared audience. You can find support easily. Even if it is a small minority that supports you, you still have the support. You can just say – I don't care about the majority and whether it will eventually understand that this is a good work of art. But if you work in a small community, you cannot afford this kind of attitude. You have to build up the confidence with people, and you have to prepare them to receive the art. But I like this. I have found out that even though you have carried out this task several times, you still cannot find a universally applicable model. The conditions are different each time; all of the things around you are completely different. I find it really interesting; sometimes I even find it interesting to chase sponsors because projects need money. So you have to do it. Thus, it is yet another challenge. 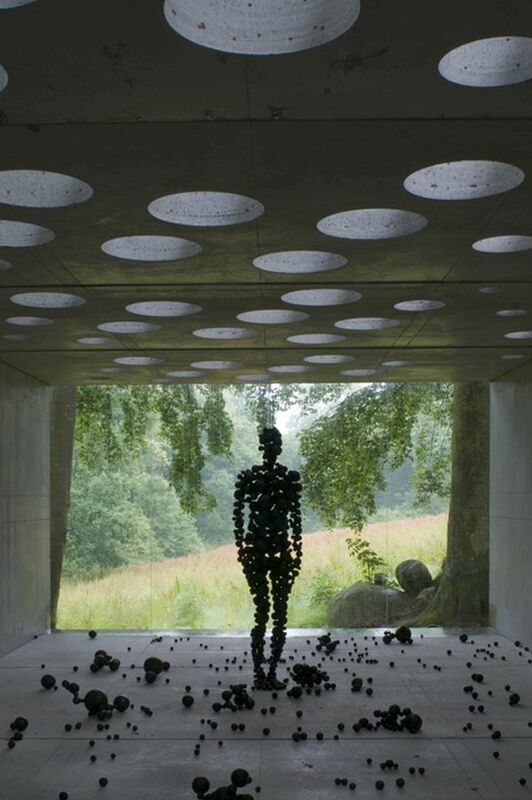 It's easier if you work with an artist like Antony Gormley. But if you work with a group of younger, not yet established artists, then it is a completely different challenge. You have to use completely different arguments then. Perhaps, I feel it even more interesting to work with the artists who are not so well known, since this provides the opportunity to put new people in the spotlight. It is a really difficult task, especially if artists come from places with little or no status on the contemporary art scene. You did market artists while at IASPIS (International Artists Studio Programme in Sweden). It is difficult. It is not impossible, but it is difficult. Both of us come from small countries, from small languages. Even if we all more or less speak English, we still have disadvantages related to not being supported – we haven't got powerful galleries, museums and institutions to support us. We did a few exhibitions under IASPIS, but it was basically an exchange programme between Swedish and international artists. We set up twelve studios for artists in the centre of Stockholm, in a building that used to be an academy of art (and which had since moved to the southern part of the city). It's a group of studios, some of them smaller, some bigger. We invited young artists from all over Sweden to come to Stockholm, to come to the capital. They came from Umeå, Malmö, and Göteborg, to the smaller of the studios, and stayed there for half a year or a year. They just had to be a part of the Stockholm art world. At the same time, we took Swedish artists abroad and brought international artists to Sweden. The bigger studios were used by international artists who came to Sweden. We also sent out our artists. We had eight studios around the world – in Berlin, London, New York... It was all paid for by the government of Sweden. IASPIS did not imply any conditions like, for example, doing an exhibition or something else compulsory. They just had to spend their time and be part of the art world, attend exhibition openings, art related happenings. Perhaps, attend a lecture or a workshop. We really tried to get them involved in the world of art as much as it was possible. I started IASPIS and stayed with it for only two years. My successor was Daniel Birnbaum, followed by Sara Arrenhius. I think we had a very good start and after eight, ten years you could really see the impact. It is a long-term investment. The problem in many other countries is to find the money, but also to find the passion within the politicians. It will take eight to ten years before you actually see a Latvian artist having a gallery show in New York. That probably qualifies as some kind of proof that you have been successful. IASPIS is really successful. We have a number of Swedish artists now who are quite established around the world. So I think it's a good model, and one that could be used also in other countries. You mentioned Antony Gormley. His "Angel of the North", which is located near a motorway in Gateshead, consequently gave the title of Honorary Freeman of Gateshead to both you and Antony Gormley. After the “Angel”, which changed the North East of England, Antony Gormley can do almost anything in England. It is very exciting to work with an art project in a public space because it is always a true challenge. "Angel of the North" became a really serious challenge to the Gateshead City Council (who decided to bring it through) because there was so much hostility against it. People really hated it. There were very different reasons why. One of them was – why spend so much money on an artwork when we need schools and hospitals and to take care of the children? This is a very fair argument, of course. Gateshead is not the richest part of Europe, and at that moment, had a high level of unemployment. Things are better now. The town has developed into a really nice place – to a great extent, thanks to the “Angel”, which seems to have triggered fundamental changes. The “Angel” also paved the way for BALTIC and for the development of the region. How did you manage to change the attitude of the people of Gateshead? What did we do? I started to work for BALTIC in 1997, and the Angel was put up in 1998. I followed it over the last year of the project. As I said, it was a really true challenge, especially for the politicians. They approached the inhabitants using arguments like: “The money comes from London, it does not come from here; even if we didn't spend this money, you wouldn't get more schools or more childcare”. And “Furthermore, it is being built here, in this region, and it means local material, local skills, and local labour are used”. But what finally made it was an argument from the outside. Local people sometimes can get really confused and they don't really know where they stand. But if they receive the confirmation from abroad or from London, where people say that – the Gateshead Angel is brilliant, that it is fantastic, it is a kind of a new symbol of England – then their pride grows. The attitude changed within one, one and a half years. Most of those who had initially been against it, changed their mind and favoured it. This was a really fantastic shift. Things like this happen with public art quite often. When you are going to erect it, you should prepare it really well. It is our common ground upon which you are suddenly putting something. If people don't understand why they need it, they feel cheated. What has been the biggest challenge in your professional life? The biggest challenge, and also the biggest reward, was BALTIC in Gateshead – because we started from scratch. I had the young architect Dominic Williams to work with – he was just twenty six when he got the job. We travelled together a lot to find out what would be the best solution for integrating a contemporary art space into the old industrial building. Then we got the money. A lot of money. We brought in artist Julian Opie on to the team. It is always good to have an artist on the design team because they understand what a good gallery should look like. Julian helped us a lot. So, this was my biggest challenge – because I started on my own. At the same time, I could choose my first colleague; I could choose my second, then third colleague. I could build my own small world. It took about four and a half years to construct the building. And during those years, we spent all the time we could to build up the confidence and self-respect in the region. In a way, it was the same as with the “Angel”. People just did not understand why they should have a contemporary art gallery in the North East. "There is the Tate Modern in London and contemporary art, after all, is just boring anyway." We worked a lot with schools and we worked a lot with local artists to convince them that they would also benefit from the project. If you are a local artist here, we will bring critics, artists, and museum- and gallery-people from London here to look at you. This actually happened. It just needed some time. You have to be patient. Gateshead is an absolutely fantastic example what an investment in culture can achieve. First there was the “Angel”, after that the Baltic Art Centre and then the Sage Concert Hall. People have started moving into the region, not away from it. Lots and lots of young people are coming to the North East. After BALTIC, I felt I could do anything. Guggenheim Bilbao was opened in 1997, which put a small town in Spain onto the world map. You are talking about the so called “Bilbao effect”. It is when you build something that is visually spectacular. BALTIC is not spectacular in that kind of sense. It is more an old industrial building. There have been many efforts to repeat the Bilbao effect. It has been done several times – in Dubai, in Qatar. And then they bring the same Western art there. At the Guggenheim, too, they make exhibitions that come from New York. It attracts a lot of tourists, of course. It creates a lot of jobs in the tourism industry. But I am not sure that it is such a benefit for the local community and the local culture. It is something that has been planted there; it is, in a way, alien to the place. I think the Bilbao effect has lost its glamour because people are trying to repeat it over and over again. It is a kind of a ready recipe – a famous architect, a spectacular building, international exhibitions, basically the same Western art and so on. I am not sure it continues to be a success story. It is important to anchor the project in the particular local region as much as possible nowadays. Otherwise, they will not have continuity and lasting success. Tourists move around the world a lot now, of course. But they can just decide as well that Bilbao is not interesting any more and go somewhere else. Everything can suddenly shift and you are left with an abnormally expensive building with enormous maintenance costs. Success can shift away very quickly. There are many beautiful museums in the world that are struggling for survival because they cannot attract the number of people they were designed for. 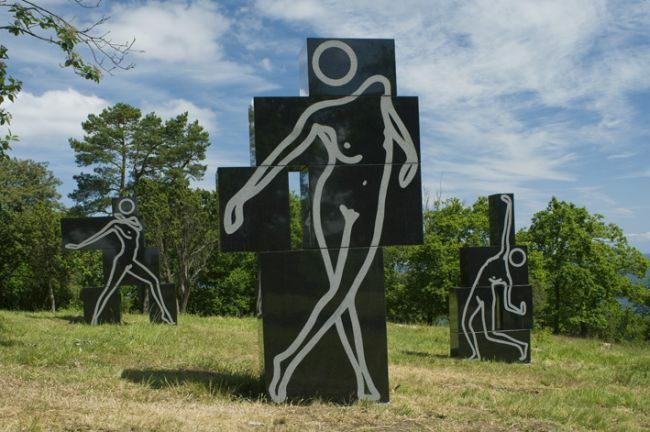 Your Kivik project is a public art project located in the countryside of Sweden. 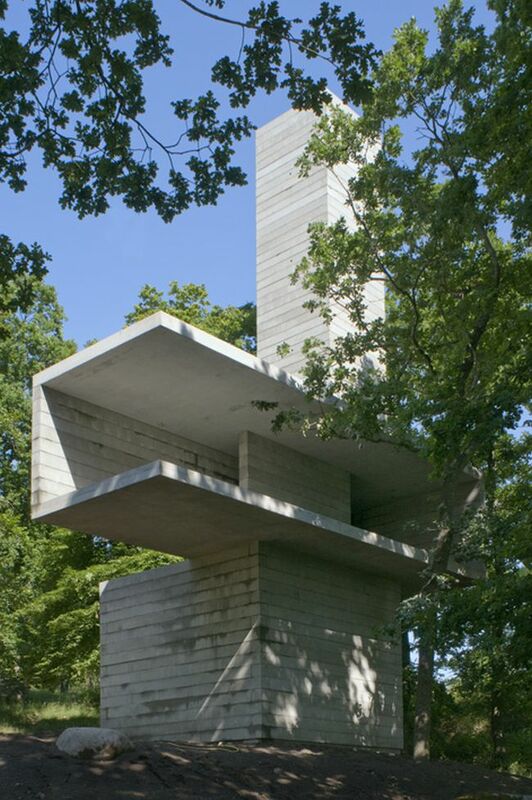 The Kivik Art Centre is going to receive Sol LeWitt's "9 Towers" sculpture next summer. This will be this artist's first outdoor sculpture in the region. This is only one of Kivik's highlights. How do you characterise Kivik's concept? Yes, we are going to exhibit the fantastic work of Sol LeWitt. We have not managed to find all of the money yet, but that's normal. We start from scratch every year. So, it becomes a challenge that we face every year. But I like it very much. We are trying to make an architectural park. It means that, first of all, architecture will be the centre of our attention. When we started, our focus was on combining art and architecture. Initially, it was architects who worked with art. However, now we are looking at artists like Sol LeWitt, who work on a sort of a watershed between art and architecture. I see the first seven, eight years as an introductory period during which people will become aware of this particular project. People know Kivik now; we have around twenty thousand visitors a year. I have been thinking that we even do not need much more than that. The park is situated in a place that is difficult to find without a GPS. We would like to give the visitors the experience of both art and nature, to have a full day out with no interference from the usual, everyday content. This is exactly the reason why we do not advertise the place too much. In many ways, Kivik is a kind of love affair for me. And, of course, like any other love affair, it has to have all of its problems. But after all these years spent in so many different areas and professions of the art world, I see Kivik as the essence of everything before that. I would like to create studios for artists there in the future. Of course, most of the younger artists want to go to New York or London to have a studio, but this could be something else. This could be a good solution for those artists who really want to get away from everything. Some people are fed-up with the art market. Everything is goods and marketing nowadays. Art is a very big business. Many artists are fed-up with it, indeed. They want to go back to something else. It is a reaction similar to the one we already experienced in the late sixties. It is how Richard Long, Robert Smithson and many others worked. They just returned to nature and all things basic. This is not only about land art. It is a story of many kinds of art in which crafts and skills are needed. Like graphic art, photography, drawing. The hands are regaining their role in art. I think that the new interest for land art is the same kind of interest. Now, getting back to Kivik – I believe that spending winter in this really windy and cold corner of Sweden could be an amazing experience. I would like to do something similar to what I did with IASPIS. If I bring international artists to these studios, they would have to become a part of this region, of its art community, of its art scene. There are art schools and art galleries, albeit of a smaller scale. Many good artists live there. Through these studios, they would get some kind of push from the outside world. They are quite self-confident and I think they need to be challenged. Kivik is located in the South of Sweden? It is not far from Malmö and Copenhagen. But the nearest towns are Simrishamn and Ystad. These are really small towns. It is a very nice place. It is fantastic to be there in summertime. Really wonderful. I live pretty close, and this also has to do with my love affair. I very much like to bring something from where I come from. Instead of me going out into the world. I am 66 now. So, in ten years, I will be 76. I probably won't travel as much as today. And then I will be a very good model-sitter as an old man. I will be there with a glass of whisky, observing famous artists swarming around. However, you are travelling a lot at the moment. Regarding this interview, you offered to meet me in Göteborg, London or Oslo. In Oslo, you have a project together with the Norwegian hotel magnate and art collector, Petter Stordalen. Yes. I have done thirteen hotels for him now. Not all of them can be regarded as art hotels, but some of them have a very high profile – very strong and weighty examples of art. The Thief in Oslo is one particular example, but there are also other good examples in other hotels. Art has the ability to influence the atmosphere of the hotel significantly. The visitors arrive at the hotel and they find themselves almost as if in a museum. Could you tell me about the conceptual background of the art hotels that you have created together with Petter Stordalen? We are trying to redefine the concept of what hotel art is. If you have art in a hotel, it should be of a very high standard and of high quality and really sticking out – and perhaps, even challenging the guests about the way they will remember the hotel. It is the essence of my work – I have to find art that not only makes the hotel interesting, but also stays in people’s minds. The larger share of guests will probably just say – oh, it's nice, it's beautiful; but some will recognise the artist, or recognise the art work. And then they will, of course, say – it was fantastic to see Jaume Plensa, or somebody else. That is something I think people will remember. And that is exactly the concept. For me, it is radically different from making an exhibition in an art institution because I know the people who come to see the art. They enter the museum, konsthall or gallery with a ready mindset – I am going to look at art now. But if you come to the hotel to spend a few nights, you are looking more for an organic breakfast, or a very nice bed, or a pool on the rooftop. Your expectations are more about comfort and something that should help you to relax. Art, in this situation, is a kind of unexpected bonus. It is very much up to me to find this kind of art that is not provocative (because it is not intended to be provocative), or not just being a factual statement – this is Damien Hirst, I have seen Damien Hirst, this should be a Damien Hirst... It is about finding works of art that are interesting and a bit challenging for the guests, so that people will remember it. It is important that the next time that they visit this city and look for a hotel, they say: "Don't you remember Göteborg? There was this hotel that had a red car tacked to the wall like a butterfly... That was a nice hotel. Let's book it again!" This is the kind of remembering we are trying to create. What are you looking for in art? A few weeks ago, I read an interview with Ingmar Bergman in which he said that he is not interested if the spectator understands his films or not. He needs the spectator’s emotions. Understanding is always a difficult notion. The question – how do you understand this or that? – is very much focused on intellectual understanding. Complete understanding can only be achieved through an elaborate cognitive process. Almost like understanding history. People want there to be a history around an artwork. If they cannot find a history, they want there to at least be a biography of the artist. Because if they have the biography of the artist, they feel that they can understand the artwork. I think it needs to be the emotions that awake you, that provoke you, and that also make you understand a particular work of art. I think there has to be an emotional understanding that we have not really explored. You can understand a lot of things with your intuition, with your feelings. And you don't even know yourself why it is that you understand. You just understand. When you fall in love, for instance, that is not an intellectual process. If it were so, it would be utterly boring. But when you fall in love – it is something that simply happens. It is basically the same with art. I don't mean you have to fall in love with every work of art, but you have an emotional understanding and it has to do with experience as well. Understanding experience is also a very difficult notion. Because it is something that you acquire yourself, but also from your parents and from your ancestors back in the past. It is also some kind of understanding, since it has to do with your brain, your eyes, your feelings. I think we actually inherit some experience from our predecessors. Today everything can be called art as long as it is accepted by the art world. Where is the border between art and everything else? I don't know. But I think that it very much depends on the so called "white cube". When the "white cube" was introduced in the 1950's, anything could be art. Because anything you placed in this "white cube" became art. I think this is a duchampish way of looking at things. The disappearance of borders between installation and performance, between design and art, between theatre and art, between music and art, as well, is characteristic of our time. Borders also keep disappearing between different disciplines of art and different professions of the art. However, in my opinion, you cannot at the same time be a curator and an art critic, or work at a gallery and as an art journalist at the same time. You can, though, shift between professions, which is also my case, but you cannot be two things at the same time. We have a kind of mixture of everything. People can't tell where the borders are because everyone is stepping over the borders. I think this is why we are going back to the crafts and back to the individual. If you look at the history of art, this is something that has happened frequently. You have periods with a more mixed approach, and then you have periods with clear-cut borders. It functions in a 20-year cycle. Nowadays, perhaps, the cycle is even shorter; everything is happening in a more rapid way now. Josef Beuys was convinced that everyone can be an artist. What is the role of a professional artist in today's society? I don't think that everyone can be an artist, or that everyone can cook food or be a doctor. If we look back to our beginnings, to the time when humans lived in caves... I think they found out very quickly that some are very good at hunting and they should go hunting, some are very good at cooking and they should stay at home, and that some are very good at making images and they should stay at home to make pictures. So, they made the pictures to inspire hunters to go out and hunt. We need artists for basically the same reason today. Art is essential for our survival.